Desiree Sanchez discovered Pilates in 1994 and completed The Pilates Center Teacher Training Program in 1999. She has been a dedicated professional in the field of Pilates ever since, working with a wide range of clientele including Pilates instructors from all over the world and teachers in training. She was on staff at The Pilates Center in Boulder, Colorado, USA for 10 years and completed The Pilates Center Masterâ€™s Program in 2008. She holds a BA in Psychology & Dance from Naropa University. She has been a dancer and an aerial artist. Ms. Sanchez presently teaches at Evolve Pilates of Denver & Functional Strength Pilates in Lone Tree, Colorado where she co-founded and co-directs a mentorship based teacher training program, leads forums and offers continuing education workshops. Ms. Sanchez travels extensively and frequently guest teaches throughout the United States and Europe. 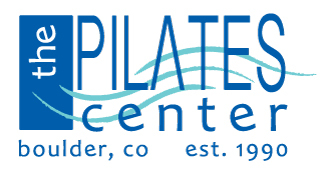 I am a Boulder certified teacher (TPC 2000) who pre-trained with Amy Lange (TPC graduate) in Aspen, Colorado for 6-months prior to entering The Pilates Center teacher-training program. I received my certification following an in-residence training with Amy Taylor Alpers and Rachel Taylor Segel. I also studied weekly with Cara Reeser (TPC graduate) in her Denver studio.Â As a resident trainee, I benefitted from and my teaching is influenced by all these senior and master teachers. Following the completion of my training in September 2000, I returned to Aspen and established a private practice at the Maroon Creek Club until relocating to southern California in 2005. In addition to Pilates training, work experience teaching privates and classes, and an active personal practice, I received a B.S. in Dance Therapy and Behavioral Disabilities from the University of Wisconsin, Madison; successfully completing academic studies in physiology, cadaver anatomy, and kinesiology.Â Â I also benefited from 5-years of training under the tutelage of retired founder of The Rehabilitation Institute in New York City, Dr. Harry A. Royson.Â Dr. Royson, like Joseph Pilates, also developed his own unique physical conditioning regime for rehabilitation purposes.Â In 2014, I completed The American Viniyoga Instituteâ€™s Viniyoga Foundations Program for Teaching and Yoga Therapy. It was an immersion in the Viniyoga tradition and personal practice with a comprehensive study of asana, pranayama, meditation, and chanting, teaching methodology and yoga philosophy. I regard myself as a teacher with a deep understanding of movement education, results-oriented through attention to detail and alignment, and passionate about experiencing and delivering the full benefits of the Pilates Method. Amy Sayers came to study the Classical work of Joseph Pilates when she was recovering from breast cancer in 2008. She had previously studied with Michele Larsson at Core Dynamics in 2000 and got PMA certified in 2007. In 2010 she got her diploma from The Pilates Center in Boulder. In 2014 she got her certificate from the Pink Ribbon Program to work specifically with breast cancer patients in recovery. Amy has found Pilates to be a source of renewal, rejuvenation and inspiration towards greater health and an affirmation of life itself. She is deeply committed to the health benefits that the Classical work itself, offers. She is thrilled to be teaching on all the Pilates apparatus to anyone that is committed to health.